Prestige Yachts 520 flybridge uit 2019 te koop op BotenBank.nl. New Prestige 520 flybridge for sale. on board is easy, enhanced by numerous clever details. Conducive to relaxation, the L-shaped saloon includes an immense integrated storage locker. Intensely bright, the inviting saloon evokes a sense of well-being. Facing sofas and a modular cockpit bench seat, which can pivot to face the saloon, create the perfect space for entertaining. 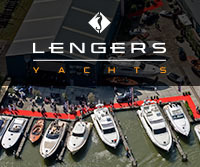 Goedendag, Ik heb interesse in uw advertentie Prestige Yachts 520 flybridge. Kunt u contact met mij opnemen.